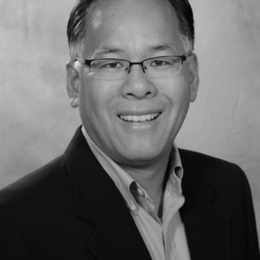 Dr. Kenman Wong is a Professor of Business Ethics at Seattle Pacific University. His teaching and research areas are in Business Ethics and Business & Global Development. Kenman also helps provide leadership for co-curricular programs focused on market oriented solutions to global poverty, serving as co-chair of two innovative conferences: Bottom Billions/Bottom Line: The Role of Business in Ending Poverty (April, 2011) and the Pacific Northwest Microfinance Conference (May, 2009). Kenman is the author of three books: Business for the Common Good (w/ Scott Rae, IVP Academic, 2011), Beyond Integrity (also w/ Scott Rae, Harper-Collins/ Zondervan, 2004) and Medicine and The Marketplace (Notre Dame University Press, 1999). His academic research has been published in journals such as The Journal of Business Ethics, The Journal of Management Inquiry and Christian Scholars Review. Kenman also regularly contributes shorter "blog" style articles on the intersections of ethics, economics, and culture that have appeared in Q: Ideas for the Common Good and ThinkChristian. Prior to becoming a university professor, Kenman was employed with the technology and management consulting firm, Accenture (then known as Andersen Consulting). He lives in Seattle with his wife and three children.